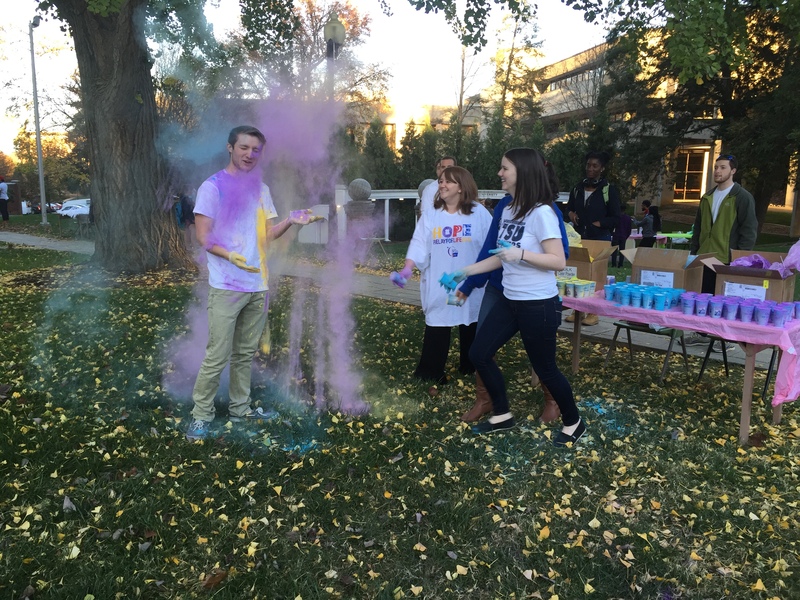 Dozens of ETSU students, volunteers and Relay for Life event coordinators gathered outside of the amphitheater on Wednesday to kick off registration for the annual Relay for Life fundraiser with a color war. Relay for Life is one of the largest and most successful fundraisers that are working to end cancer. ETSU has held a Relay for Life event fundraiser for several years now, with this year’s event taking place on Friday, April 15, from 2 p.m.-2 a.m. in the mini dome. 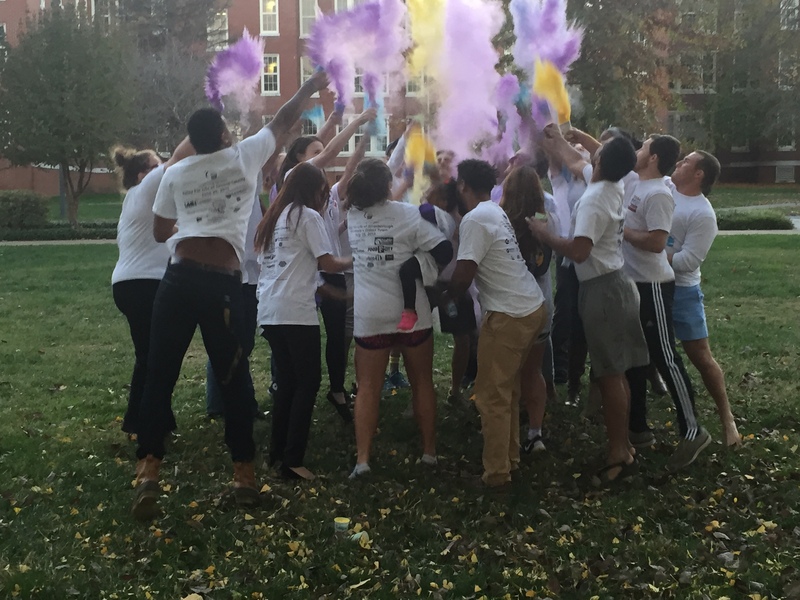 This is the first year that there has been a color war, it was held to celebrate registering for the event in April. 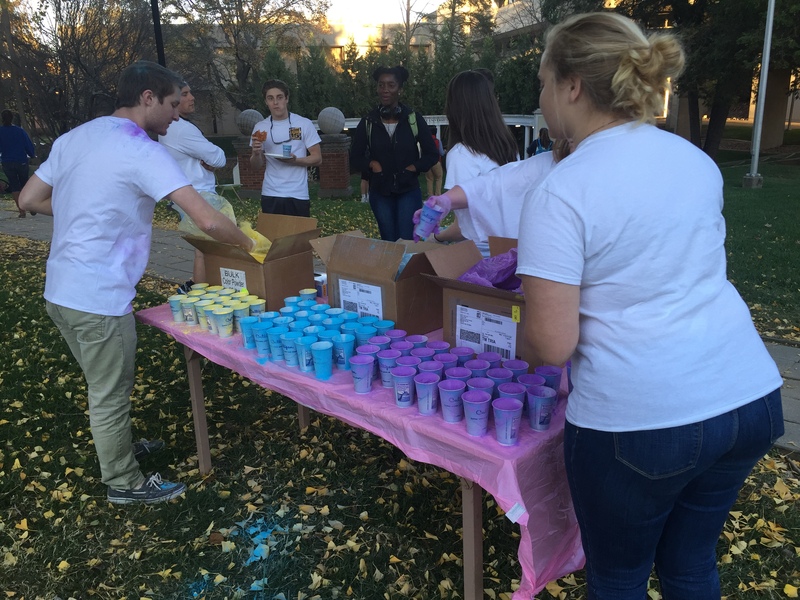 For the color war, participants dressed in white shirts and threw cups of colored cornstarch to celebrate the enthusiasm for this event that has so much hope for those whose lives are impacted by cancer. For Hook, the Relay for Life event presented her with an opportunity to bring awareness to how many lives cancer impacts, and also educate people about ways that they can help contribute to fundraising efforts that go directly toward the costs incurred by those battling this disease. ETSU is currently one of five universities in the state that participate with Relay for Life. Fundraising wise, ETSU has trailed right behind Vanderbilt and University of Tennessee Knoxville in the past. However, Poff says that they have hopes to surpass their previous fundraising efforts and raise about $40,000 this year. For students interested in participating with Relay for Life they can register by going to www.RelayForLife.org/ETSU. Students can register with a student organization, or they can register independently. There is a registration fee of $10, but starting on Jan.1 the cost will go up to $15 to register.